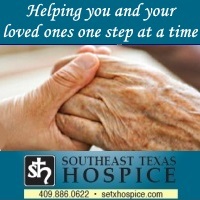 Laura Jane Ritter Sonnier, 86, of Orange, Texas, former resident of Hemphill, Texas, passed away on December 3, 2018, in Port Arthur, Texas. Funeral services will be held at 2:00 p.m., Wednesday, December 5, 2018, at Claybar Funeral Home in Bridge City, Texas. Officiating will be Father Meeks of St. Maurice Catholic Church. Burial will follow at Hillcrest Memorial Gardens in Orange. 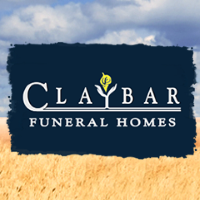 Visitation will be held prior to the service, beginning at11:00 a.m, at Claybar Funeral Home in Bridge City, with a Rosary to follow at 1:00 p.m.
Born in Jennings, Louisiana, on February 25, 1932, she was the daughter of Floyd Ritter and Daya (Meyers) Ritter. Laura retired after working at DuPont Sabine River Works for many years. She was a graduate of Hathaway High School in Hathaway, Louisiana, where she played basketball and went on to play semi-pro. Laura enjoyed visiting casinos, playing the lottery, fishing, attending family crawfish boils, listening to Cajun music, and making her famous Christmas seafood gumbo for her family. Her family meant everything to her and she was a wonderful Maw Maw and GG to her grandchildren and great-grandchildren. Laura was the glue of the family and will be missed by all who knew and loved her. She was preceded in death by her parents, Floyd and Daya Ritter; and her brothers, Fred Ritter and James Ritter. She is survived by her children, Keith Sonnier and wife Jan of Port Arthur, Jacquie Duval and husband Albert of Port Arthur, Julie Linscomb and husband Clyde of Mauriceville, Oran Sonnier and wife Peggy of Carthage, and Jane Bass and husband Jerry of Deweyville; her grandchildren, Kayla, Kyle, James, Lucas, Michael, Tasha, Damon, Oran Jr., Trey, Ashley, Derek, and Erica; her 19 great-grandchildren; her sister, Clara Velasco of Port Arthur; and her niece and numerous nephews, and other extended family members. Serving as pallbearers will be Kyle Sonnier, James Duval, Michael Gonzales, Oran Sonnier, Jr., Trey Sonnier, Lucas Duval, Derek Bass, and Damon Bailey. Honorary pallbearers are Joshua Patteson and Cody Patteson.